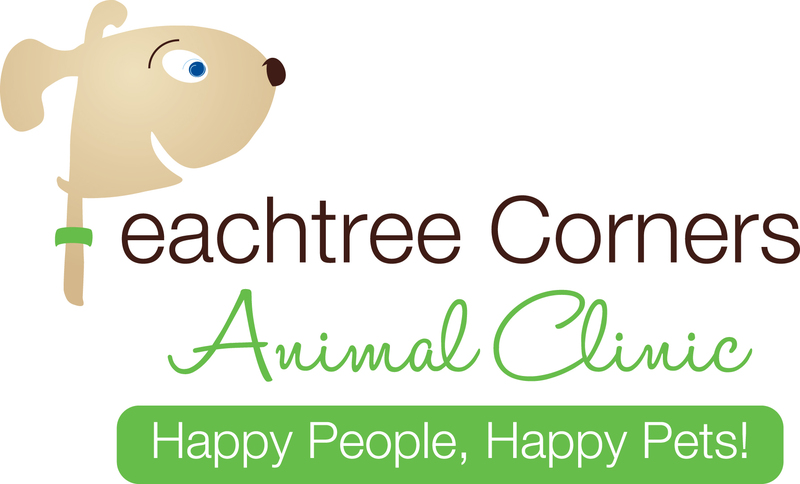 A 501c3 non profit charitable organization benefiting Animal Rescue and the Special Needs Community. 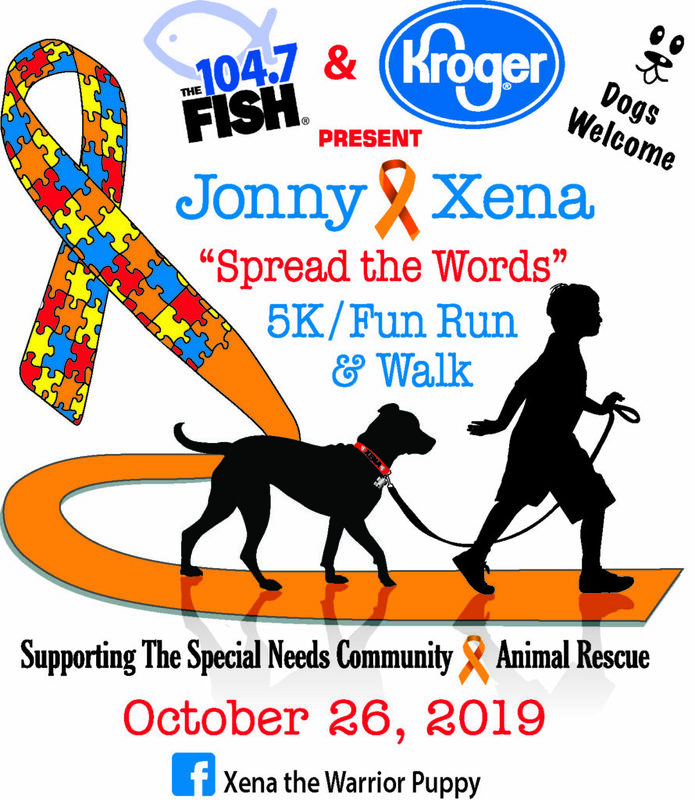 Join us October 26th at Suwanee Town Center for the 5th Annual Jonny & Xena Spread the Words 5k/FunRun/Walk, Festival & FREE Pet Adoption event *with approved application, benefiting our animals in need and our special needs community. Register TODAY Early package pick-up at Big Peach Running Co. Suwanee Location, Friday, October 25 4-7pm. All who pick up Friday night receive in store discounts on merchandise. Register from any where around the world with our Virtual supporter option. Virtual supporters will receive a race t-shirt in the mail and a medal for all placed winners. Dogs welcome, but if you don't have one, I'm sure we will have the perfect companion for you to adopt. 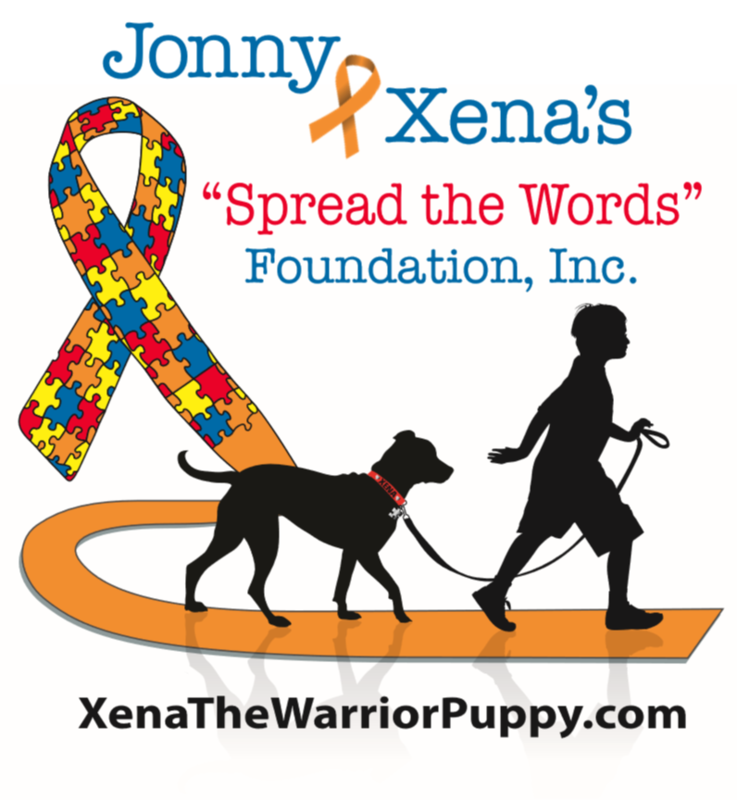 The Jonny and Xena's Spread the Words Foundation, a 501(c)(3) non profit organization, was founded because of the miraculous story of Jonny and Xena. Jonny was diagnosed with Autism and lived a very quiet life until he met Xena, a severely abused dog who was given a less than 1% chance of survival. Miraculously Xena beat every odd against her, but her miracles didn't end there. Xena became Jonny's companion dog and changed the life of a boy living with Autism. 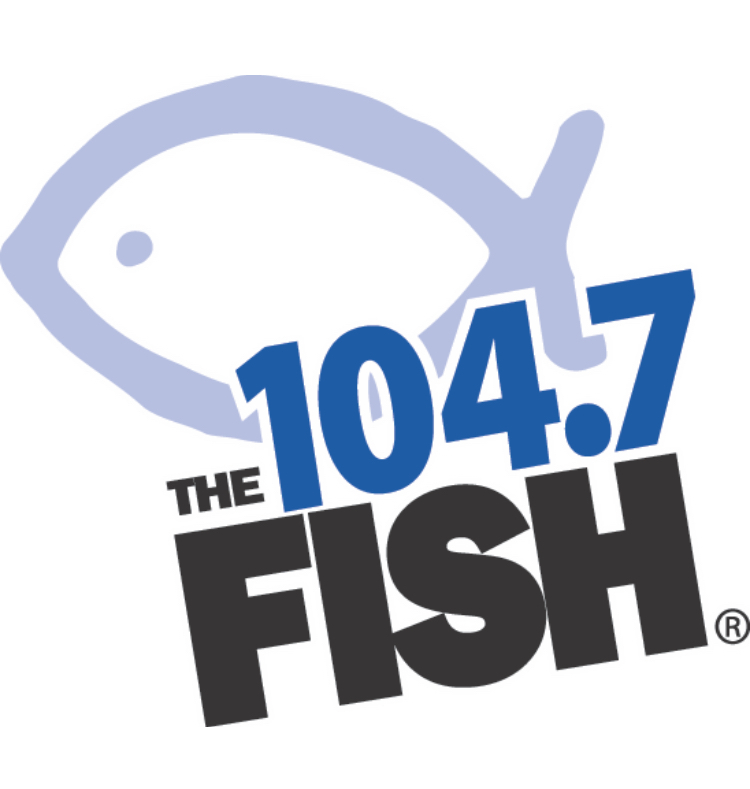 The mission of Jonny and Xena's Spread the Words Foundation is to improve the lives of individuals living with Autism and other developmental disabilities. We "Spread the Words" of kindness, acceptance, hope and understanding through our educational programs, "Become the Pawsiblity". Xena and I visit and share our programs with schools, civic organizations, clubs, and with thousands of followers all around the world through social media. We fund raise, lend emotional support to families and financial assistance to Special Needs support programs. 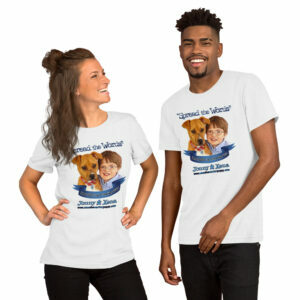 Because we strongly believe in the bond between exceptional people and animals, we support Animal Welfare organizations by fundraising, donating, fostering, volunteering and educating. Through our educational and support programs, we are able to enrich lives, both 2 and 4 legged, empower our special needs community, and "Spread the Words". Xena came into Dekalb Animal Services in Georgia as a stray after someone called regarding a stray puppy found in their yard. An officer picked up the puppy and arrived at the shelter around closing time with this girl. We gave her fluids and Nutrical, and a wonderful volunteer took her home. Xena's miraculous recovery was because of her amazing foster parents Chrissy and Aaron. Love, dedication and a strong will to live is why this Warrior is with us today. Xena came into our home on Feb 11, 2013 and we officially adopted her on March 25, 2013. An immediate bond formed between Xena & Jonny who has autism. This little girl went from survivor to savior.